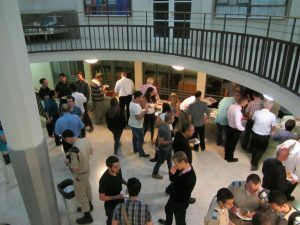 On Thursday, November 10, 2016, the Faculty hosted the AUVSI 2016 Project Summary Seminar. 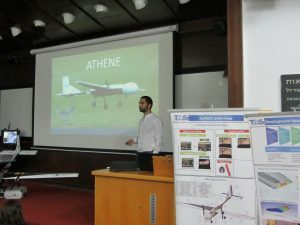 This project is the students’ final project (Project 7/8) at the Faculty of Aerospace Engineering and was done, for the second time, in cooperation with the Faculty of Electrical Engineering. 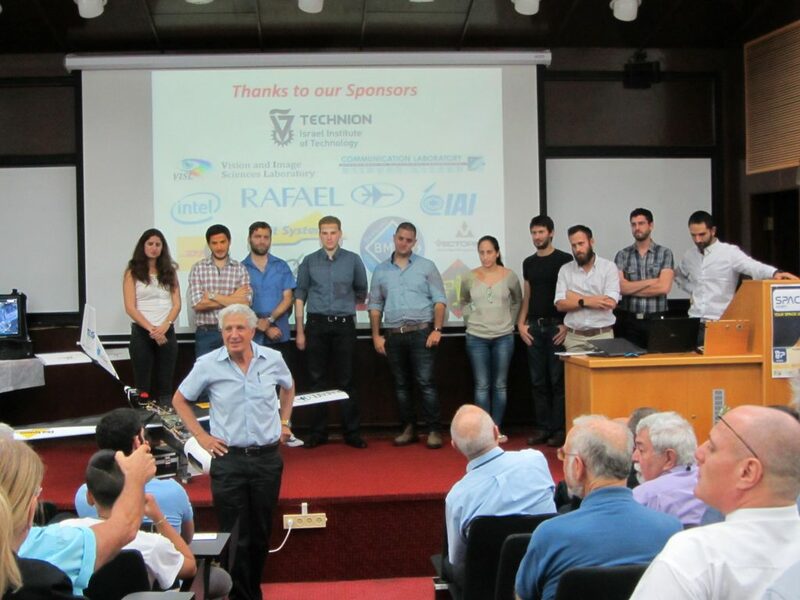 Among the participants in the event were industry representatives that supported the project, including: Rafael, Israel Aircraft Industries, the Technion’s management and more. 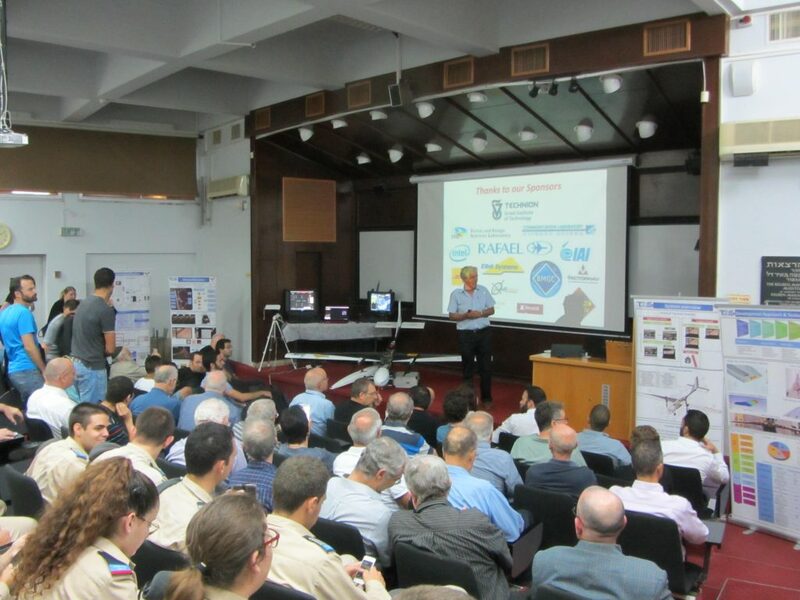 Also invited to the event were students from the Israeli Air Force Technical School, and of course, faculty members from both Aerospace and Electrical Engineering and the students involved in this project from the two faculties. The students in this project developed, planned, built and flew an autonomous airborne system for reconnaissance and aerial photography. 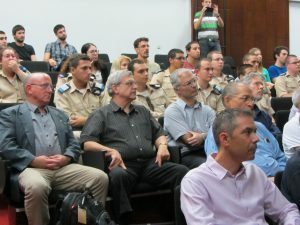 The project was presented at an international competition and the team won fourth place ! 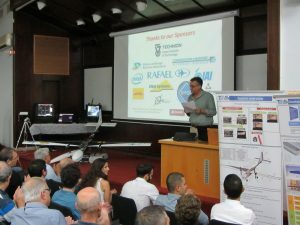 Dror opened the evening with a brief description of the project and called Prof. Jacob Cohen, the Dean of the Faculty of Aerospace Engineering, and Prof. Mark Zilbershtein from the Faculty of Electrical Engineering to the stage. 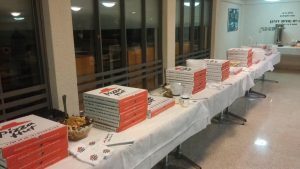 They congratulated the project, those involved (advisors and students) and the extraordinary achievement of successfully operating the system and winning the fourth place at the competition in the U.S.A. Following the congratulations, the students from both faculties went on to give a detailed presentation describing the system and the complex and challenging development process. 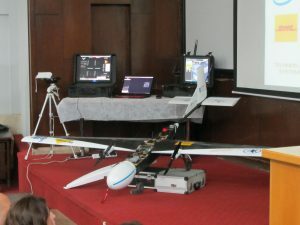 The aircraft and ground station were exhibited on the auditorium stage. 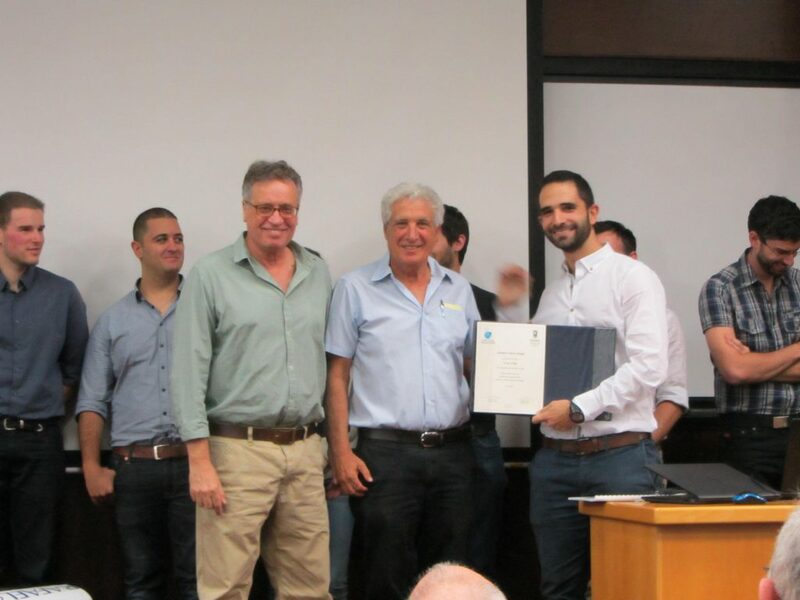 Following the students’ presentation, Dror Artzi and Prof. Cohen presented Eliran Eyal, the head of the project, a Certificate of Appreciation. 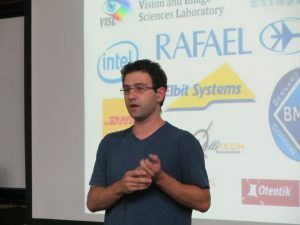 This is the third year in which students from the Technion have participated in this very prestigious competition is the U.S.A. and have been in the top five, out of 50 universities from around the world. 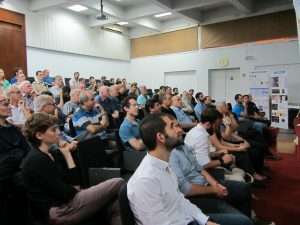 By continuously and very successfully participating in the competition, the Technion team represents and presents the very high technical level of the Technion and the state of Israel.